Join the Friends of the Mountains-to-Sea Trail and hundreds of fellow hikers and walkers on Saturday, September 9 to hike the entire 1,175 miles of the MST in one day. We invite you to hike a 3 to 5 mile leg (or more if you are up for a challenge), as we welcome both those new to the trail and seasoned hikers who can’t stay off the trail. 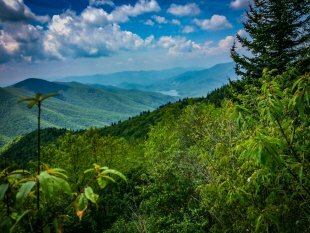 This is an historic and unique way to celebrate the history and beauty of North Carolina’s premier trail, which now stretches through 36 counties from the Great Smoky Mountains to the Outer Banks. Almost 700 miles are built and people use connecting back roads to hike across the entire state. There is also a paddling option along the Neuse River in eastern North Carolina. Learn more about MST in a Day from the video below and at www.mstinaday.org.